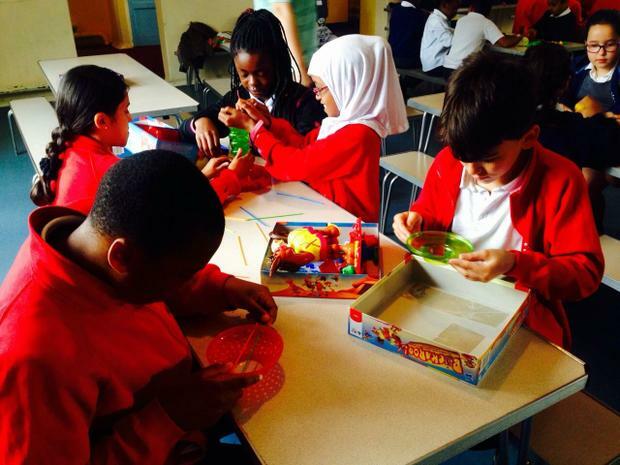 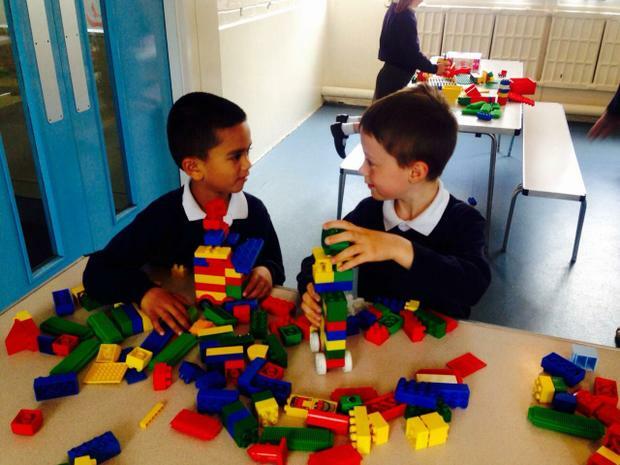 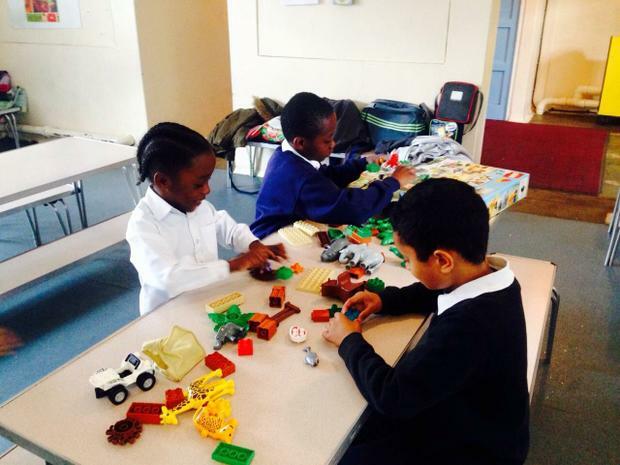 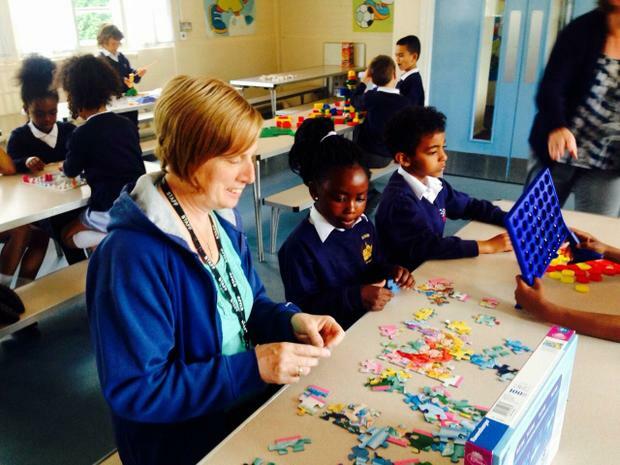 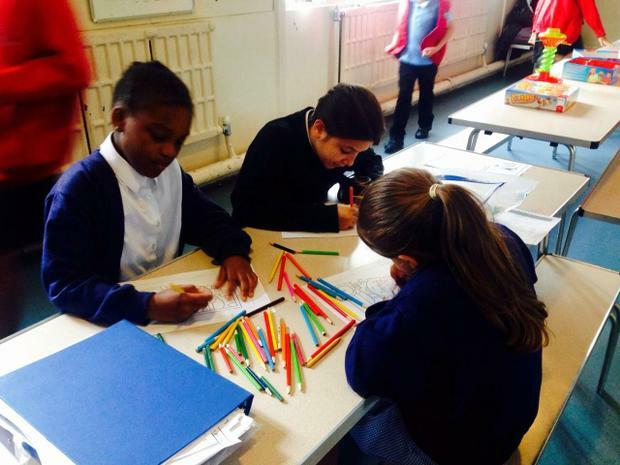 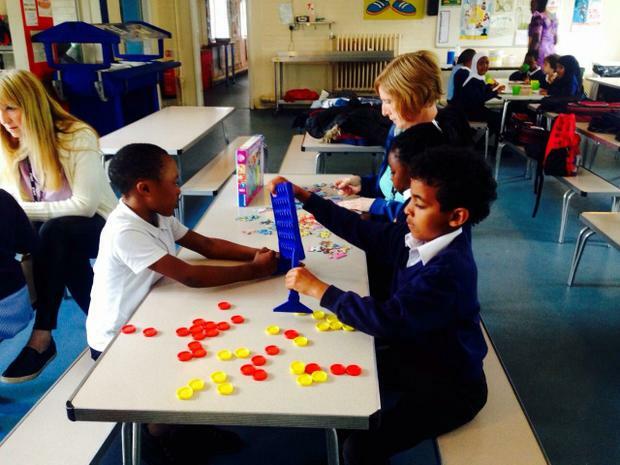 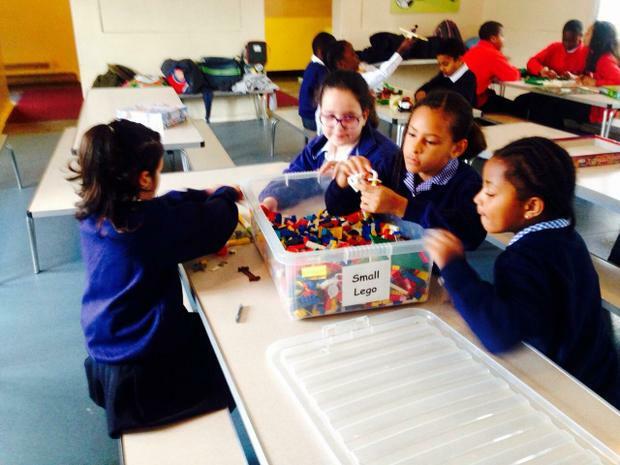 We are open every weekday during term time, excluding Inset days from 8.00am - 8.55am. 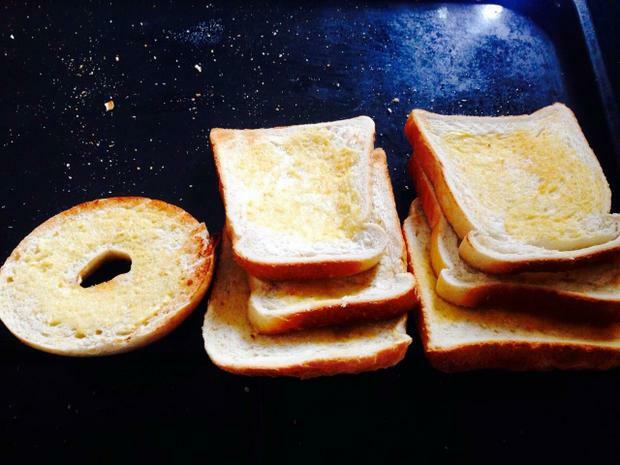 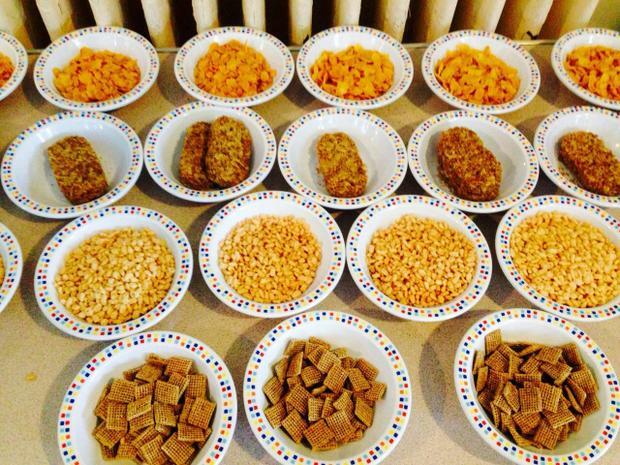 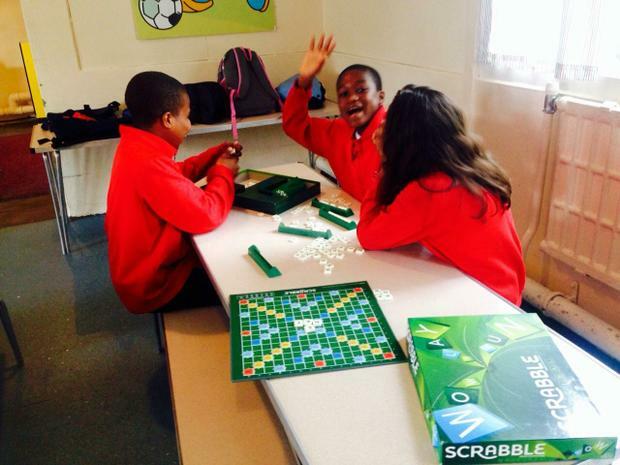 We provide a selection of cereals and toast, followed by games and activities organised for the children. 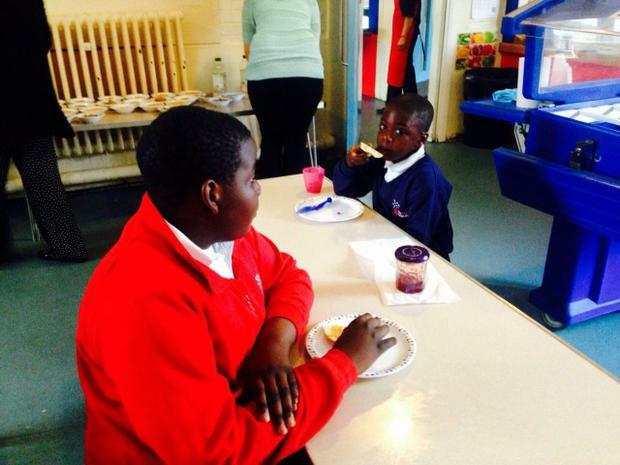 Your child(ren) can be dropped off at any time between these times but breakfast is only served until 8.30am. 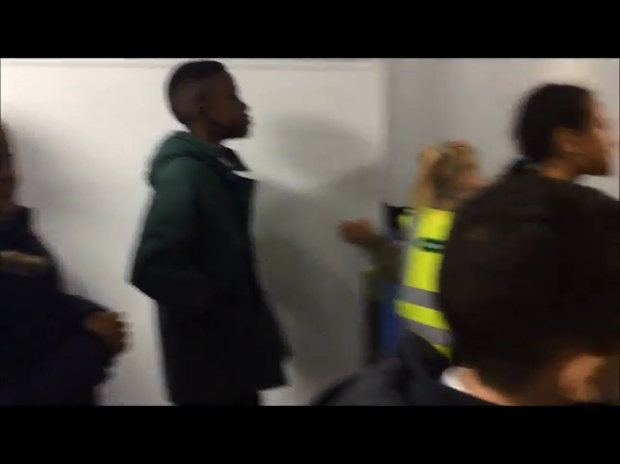 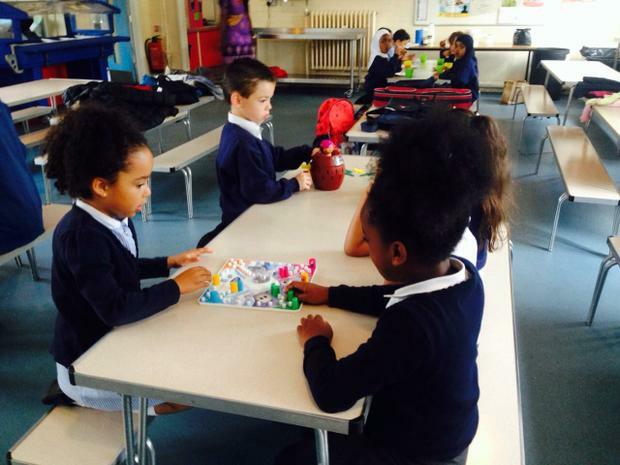 Children can enter Breakfast Club in the Junior Site bottom hall. 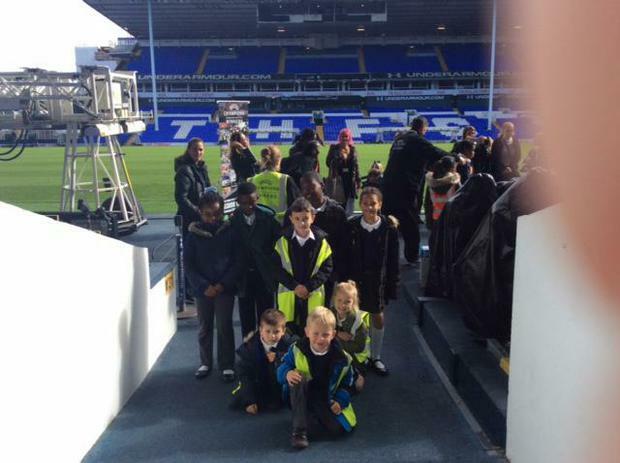 Please could all parents/carers ensure that they sign their child in. 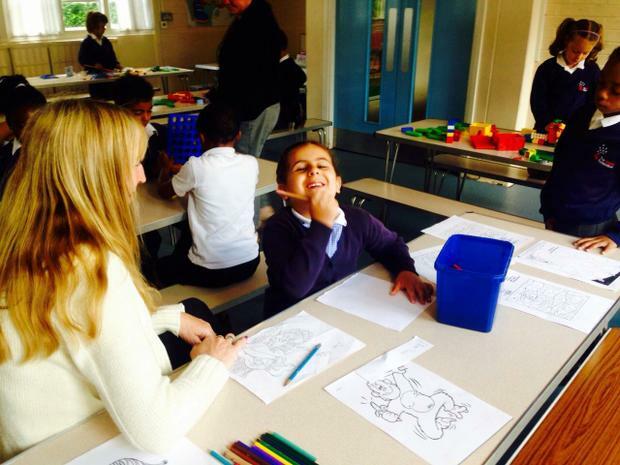 Please do not drop your child(ren) off before 8am as there is no one on the school premises that can look after them before this time. 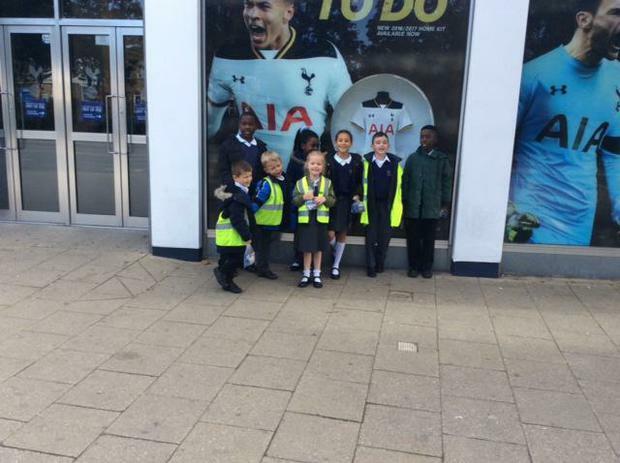 They will remain your responsibility until they are let into the building. 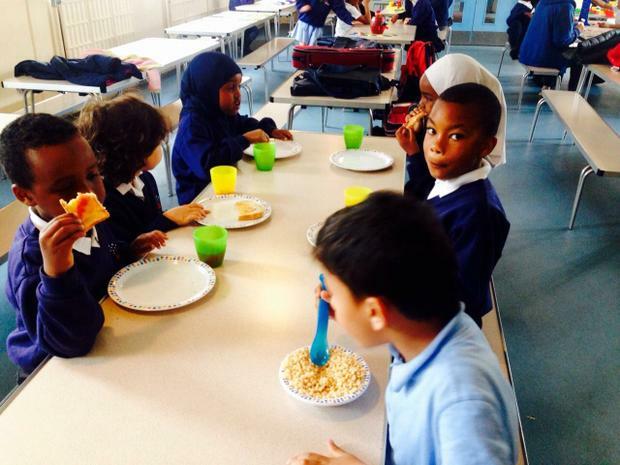 Our breakfast club is offered to all pupils and costs 50p a day. 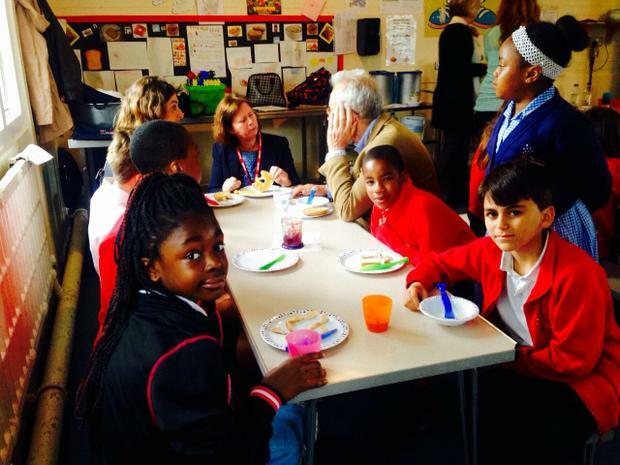 If you are interested in joining breakfast club please contact Miss Williams. 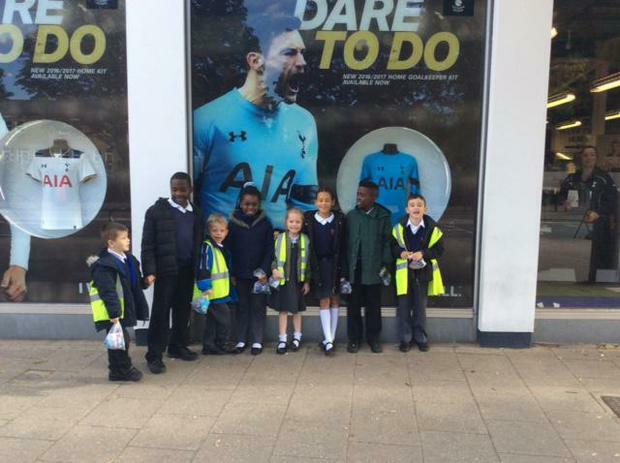 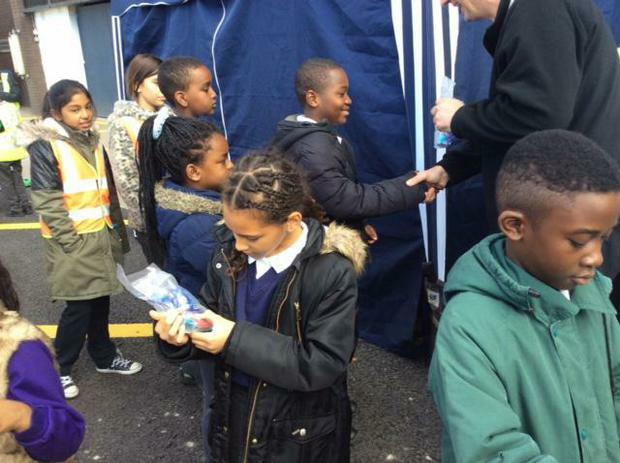 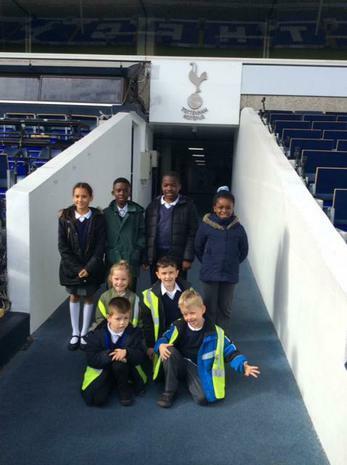 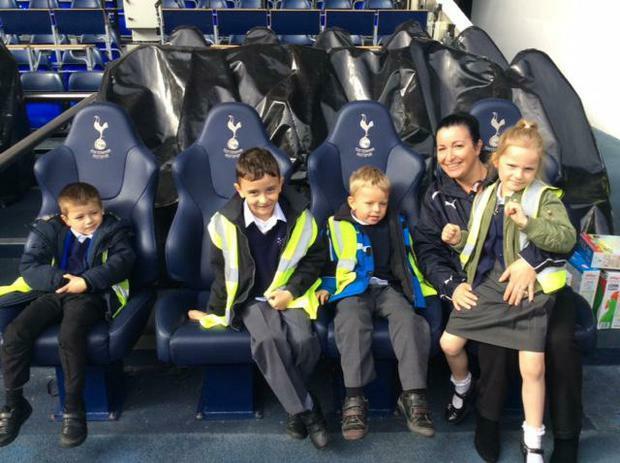 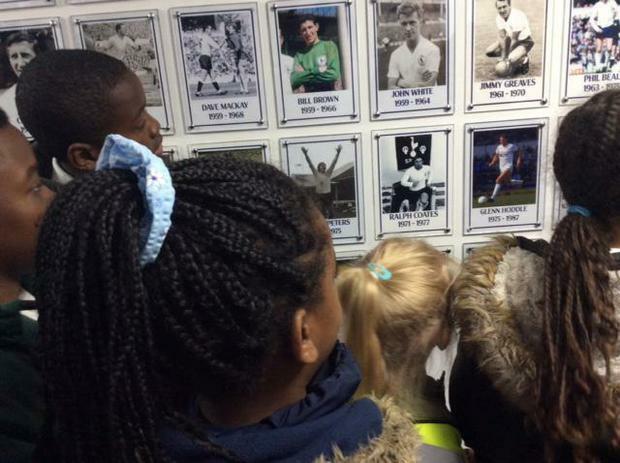 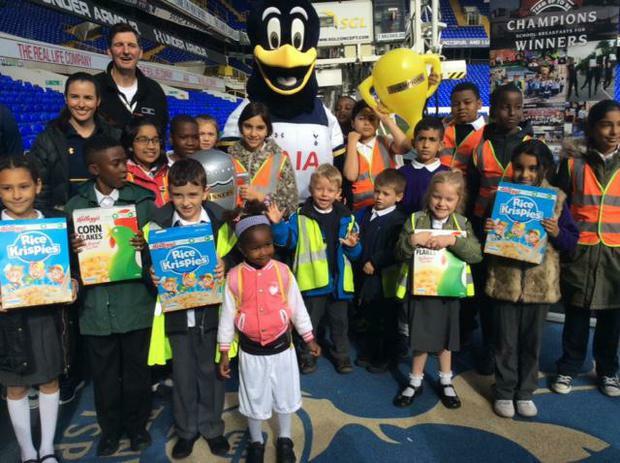 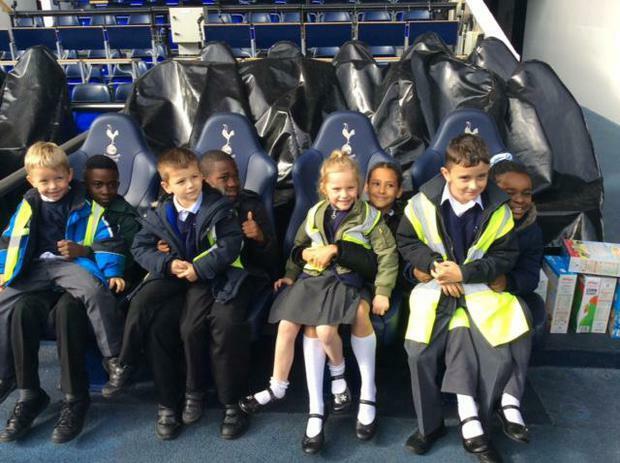 On Monday 10th October 4 children from the Infants and 4 children from the Juniors attended a special trip, with Miss Hussein and Mrs Bathija, to the White Hart Lane stadium as part of the Team up to be Champions project sponsored by a charity. 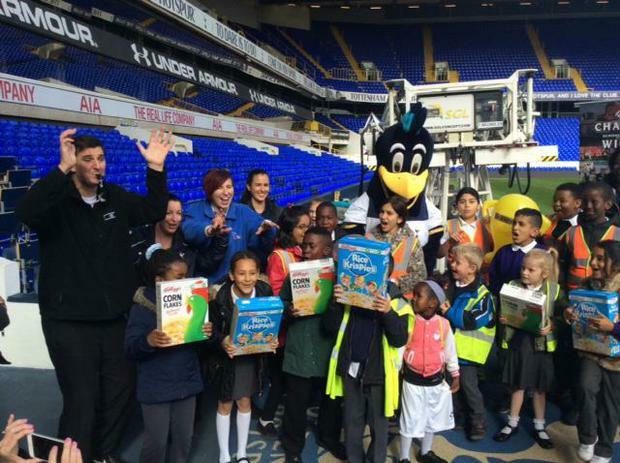 We were given several cereal boxes for our breakfast club and got to go through the tunnel and pitch side and met the mascot Chirpy. 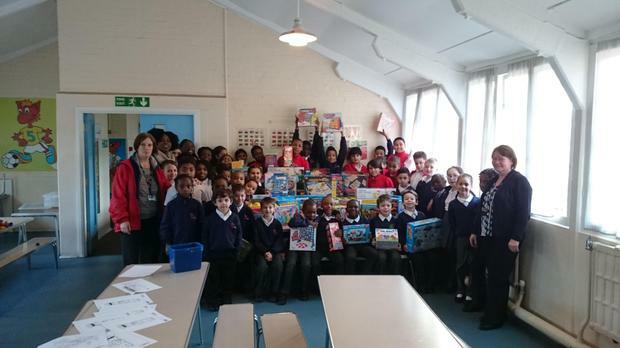 The children also received a gift at the end. 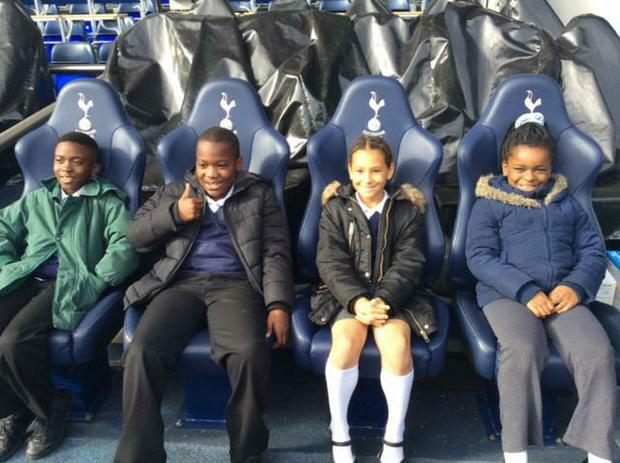 What an opportunity for us all!! 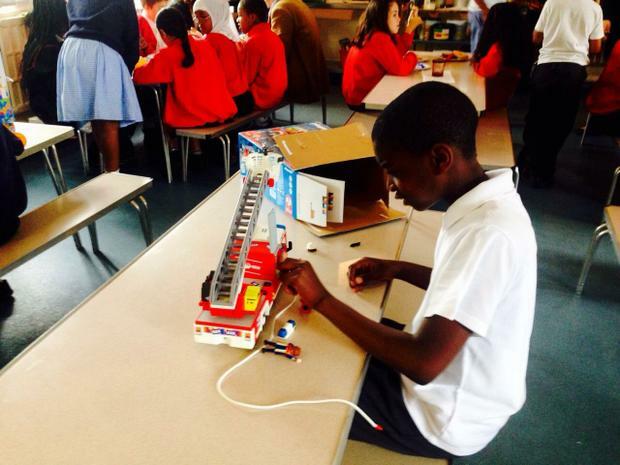 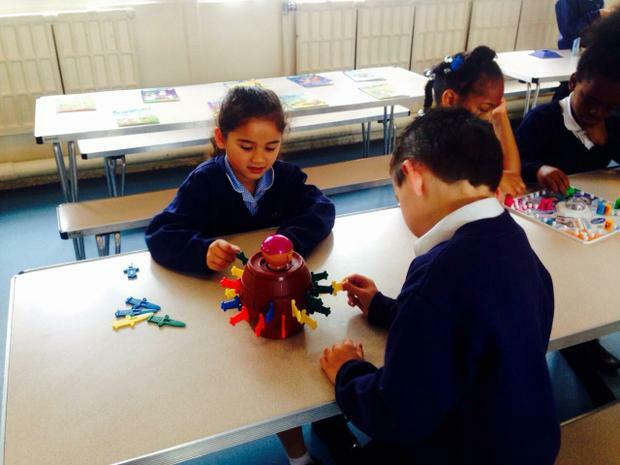 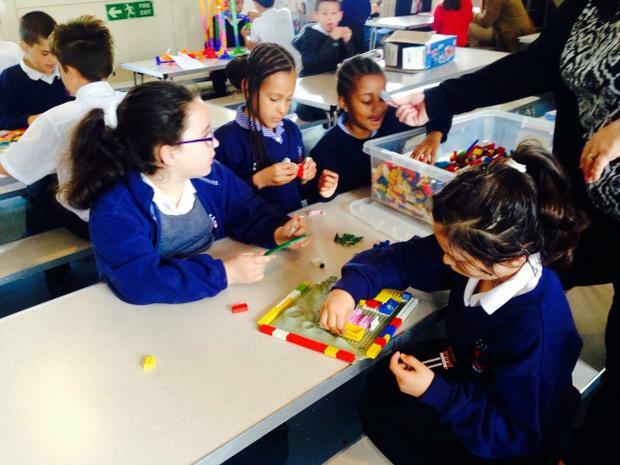 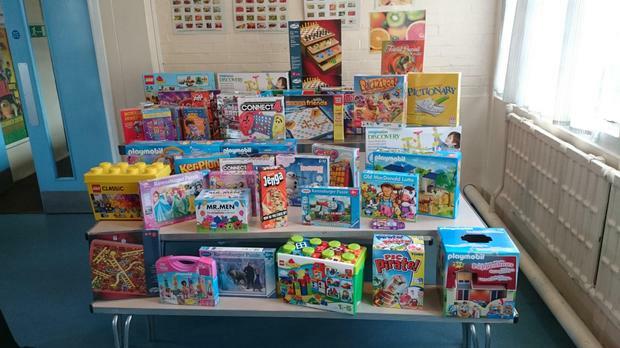 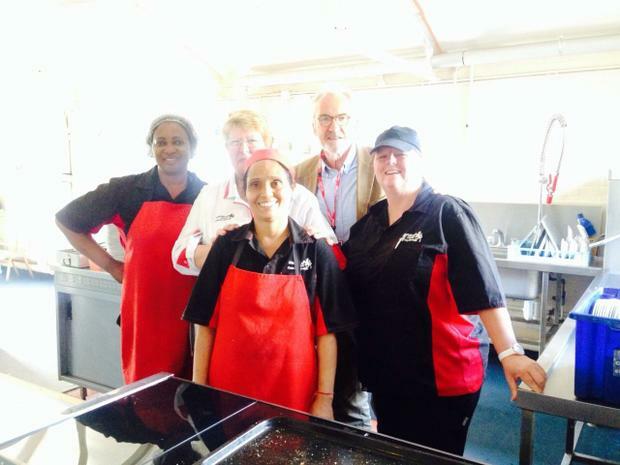 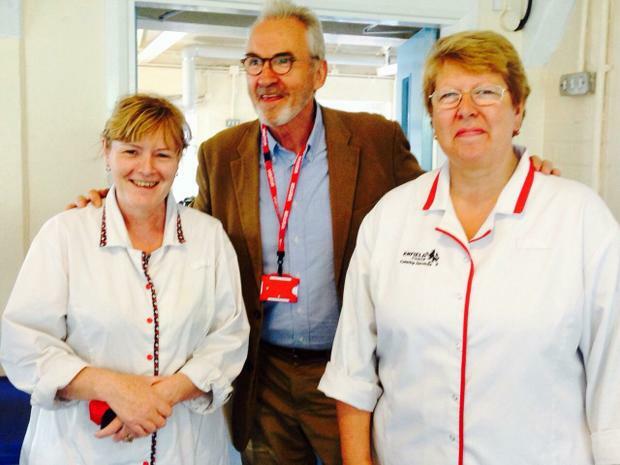 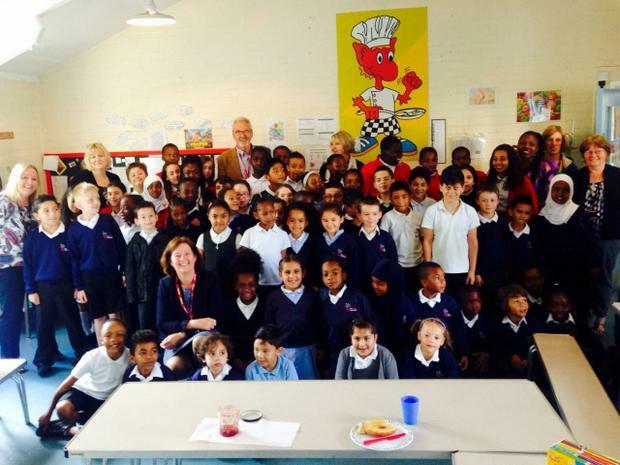 Magic Breakfast, the charity who have funded our breakfast club for five years, visited the schools breakfast club on Thursday 18th June 2015. 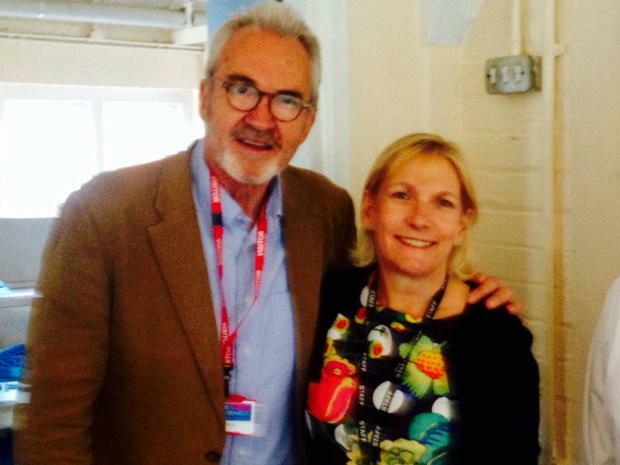 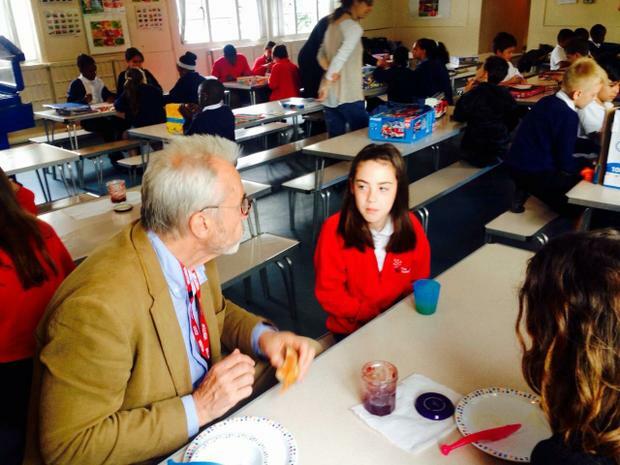 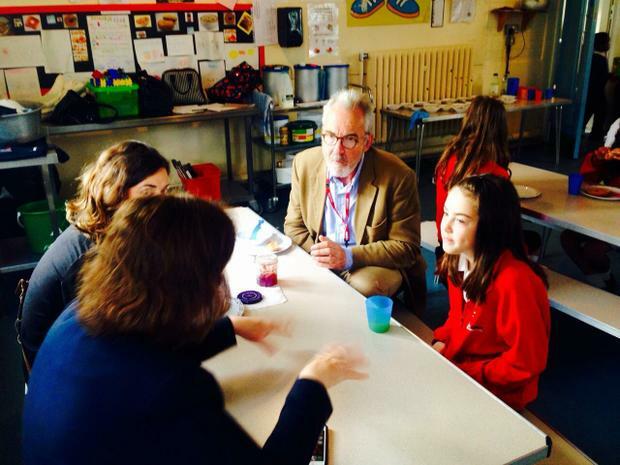 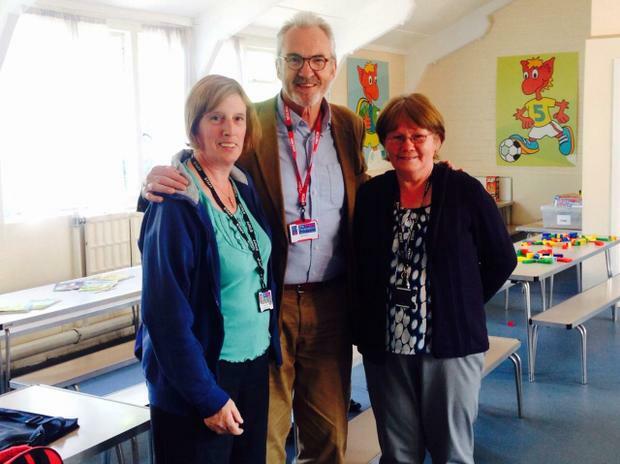 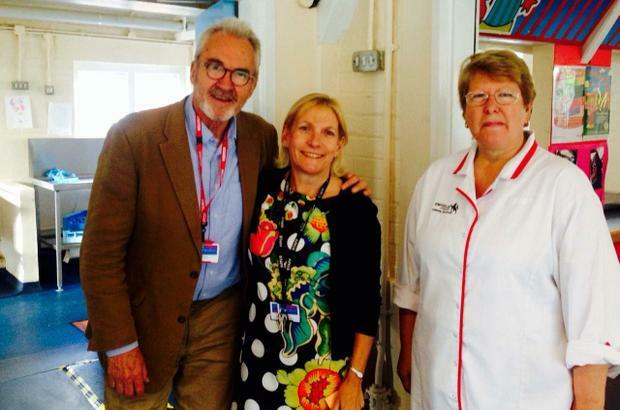 Larry Lamb who was born and brought up in Edmonton also came to see the KS1 and KS2 children enjoying their healthy breakfast. 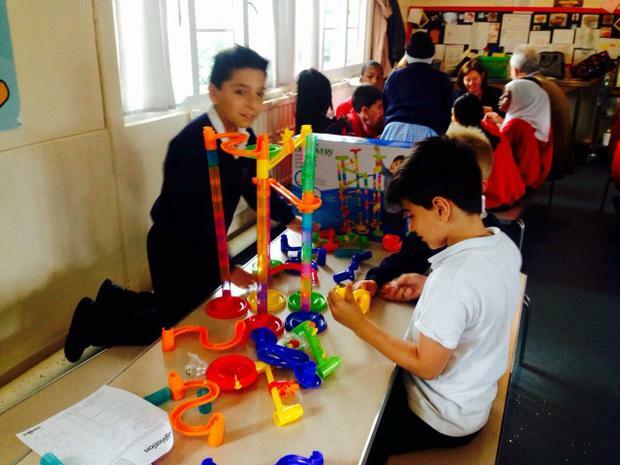 Larry enjoyed chatting to the children and watching them socialising and playing with the wide range of toys and games available. 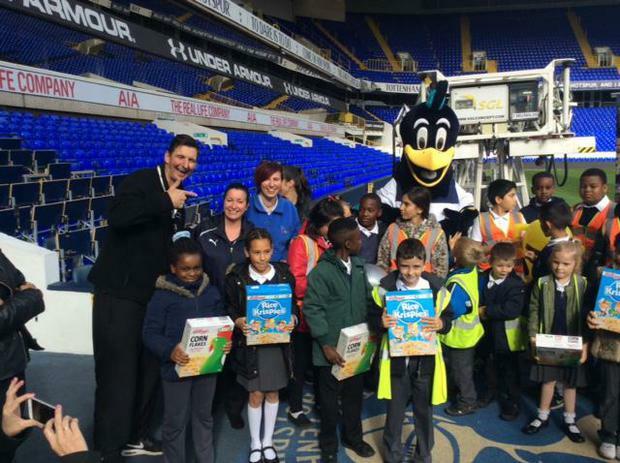 Larry was pleased to learn that children had the opportunity at 8.30 a.m. to 'Get Active' with the sports coaches. 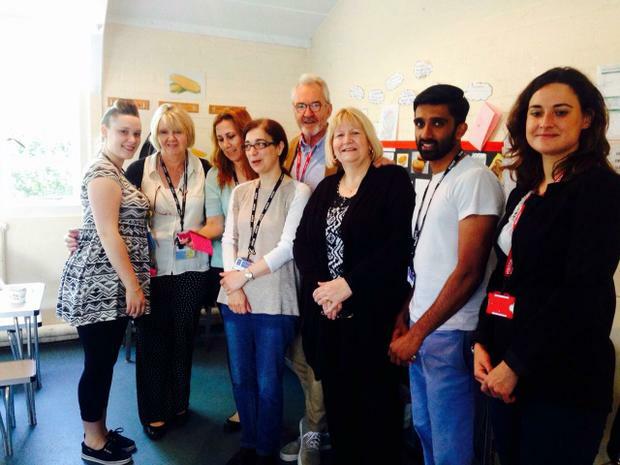 We would like to thank Magic Breakfast for continuing to support The Eldon Federation with providing a free breakfast for all the children who attend. 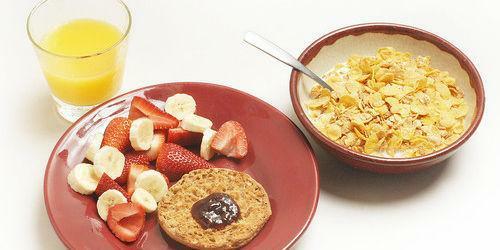 Change4Life Breakfast ideas and tips Get off to a great start with a healthy breakfast!